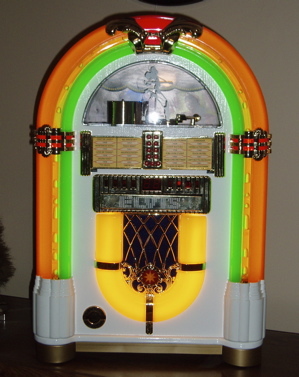 (10) Women’s Tupelo Blue Suede Boots at $239.95, (9) Graceland Crystal Paperweight at $12.99, (8) Graceland Peacock Stained Glass at $59.95 per panel, (7) “Elvis: That’s The Way It Is” 45th Anniversary Collage T-Shirt at $24.99, (6) Graceland Studded Handbag at $65, (5) “If I Can Dream: Elvis Presley with the Royal Philharmonic Orchestra” CD at $19.99, (4) Elvis 68 Special Women’s Spa Jacket by Christine Alexander at $145, (3) Lowell Hays Plated Hoop Earrings with Interchangeable Charms at $65, (2) “Elvis: Aloha From Hawaii” Deluxe Edition DVD at $39.99, (1) Elvis 60th Anniversary Heartbreak Hotel Gold Record wall display at $59.99. If you’ve got 10 Elvis fan friends on your Christmas gift list, you can take care of them all by buying Graceland’s list for a grand total of $732.89, plus postage. I’ve got a different list, one that’s priceless, since none of items on the list exist right now. 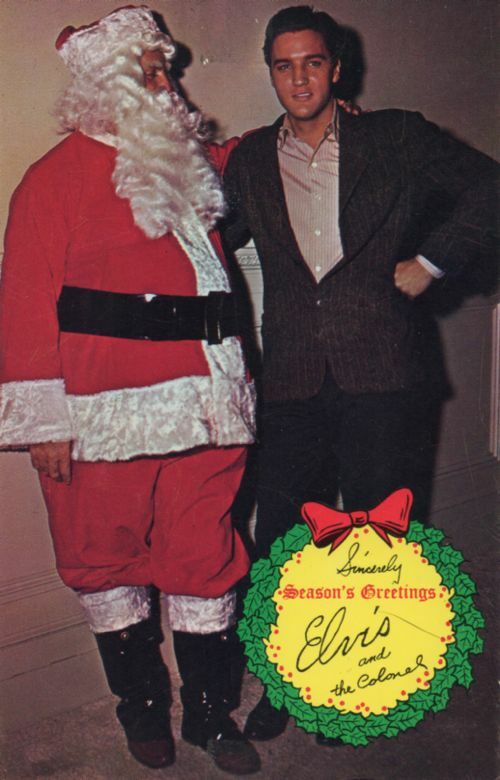 That being the case, my list has a slightly different title: “Top 10 Holiday Wish List for Elvis Fans.” After 50 years as a fan, I have little desire to accumulate Elvis apparel, jewelry, CDs, DVDs, and collectibles. Instead, here is my countdown list of the Elvis items that would bring me holiday joy. (10) A set of photos from Elvis’s concert on August 30, 1957. In 1957, when I was writing Elvis ’57: The Final Fifties Tours, I searched everywhere for a photo of Elvis on stage in my hometown of Spokane in 1957. I found several pictures taken at the press conference before the concert and even one of his arrival at the Spokane train station the night before. But I wanted a quality photo of him on stage. I know some were taken since a couple appeared in the local newspaper the next morning. The Spokesman-Review photo department told me all of their old negatives had been thrown away a few years ago. Their Elvis print file was empty—the work of some thief, no doubt. 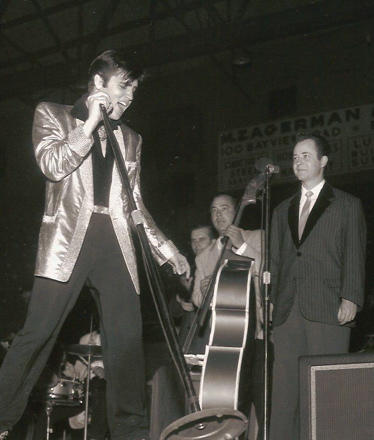 In the past eight years, I’ve seen thousands of newly discovered Elvis photos published, but never one from the King on stage in Spokane in 1957. There’s lots of video available from Elvis’s Las Vegas years, but none from this, perhaps the most historic stage show of his career. Eight years and four months had passed since he last faced a live audience—the U.S.S. Arizona charity concert in 1961. This very first show at the International must have filled Elvis with fear and adrenaline. The VIP audience could have only increased the pressure. The intensity of his performance in the face of all of that would be something special to see for the first time. I don’t deny Elvis Presley Enterprises’ right to license Elvis teddy bears and trinkets. They’re in business to make a profit, and as long as cheap, junky souvenirs sell, we’ll continue to see them on store shelves. However, I hope EPE follows through on the merchandising commitment its new owners made in early 2014. Authentic Brands pledged to concentrate new Presley licensing on “high-end collectible items more focused on Elvis’s career and personal tastes.” Doing so would enhance his prestige in a way that belt buckles and plastic swivel hip clocks never will. Many scenes originally in the scripts of Elvis’s movies were filmed but later cut from the movies’ final versions. 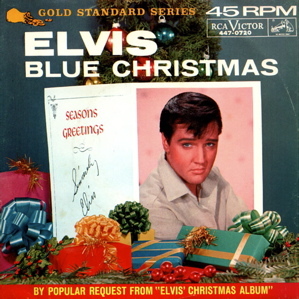 Some examples are Elvis singing “Summer Kisses, Winter Tears” in Flaming Star, the intended opening scene of Follow That Dream, and Elvis singing “Lonely Man” in Wild in the Country. The footage of these and other deleted scenes may have been discarded long ago, but this is a wish list, and I wish they would all be found and released for Elvis’s movie fans to see. Complete sound recordings of Elvis singing live on stage exist from 1956, 1961, and from 1969 and beyond. But only bits and pieces are known to exist from the 28 live shows he performed in 1957. Audience recordings were absolutely impossible that year because crowd noise peaked at his shows in 1957. Colonel Parker apparently nixed recording off the stage mikes, so we are left with no example of a Presley set on stage in 1957. Here’s hoping this wish will come true someday. As a member of the Jordanaires, Gordon was an intimate associate of Elvis in the studio and on stage from 1956 through the late sixties. When I was writing my Elvis ’57 book, he graciously shared his memories of working with Elvis that year. Gordon thought highly of Elvis, both as a performer and as a person. I urged him to write a book about his relationship with Elvis, but he declined, saying he wouldn’t have the time to promote a book. Gordon is gone now, but the dozens of his published and unpublished interviews over the years contain enough material to compile a book. I’d gladly contribute my email correspondence with Gordon to anyone willing to take on such a project. When I asked Graceland for limited access to their archives for my Elvis ’57 book, they slammed the door in my face. Also, I read that Graceland wasn’t interested in Elvis fans sending them newspaper articles to add to their archives. Since Graceland isn’t willing to share its archives with the public, it would require a third party to come forward and compile, organize, and manage a complete as possible print archive open to public use. A usage fee would have to be charged, of course, but fans and scholars alike would have a source for information they want or need about Elvis. Sony and the Follow That Dream label have done a great job of providing Elvis fans with full and part alternate takes from many of Presley recording sessions through the years. It’s fascinating to see how some of Elvis’s greatest recordings were crafted in the studio. 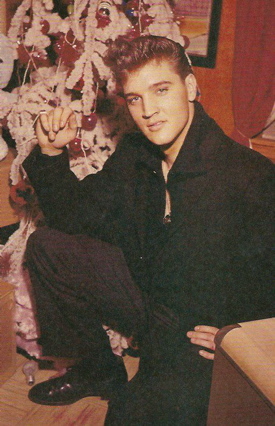 We have alternate recordings of songs like “Heartbreak Hotel,” “Jailhouse Rock,” “A Fool Such As I,” “Stuck on You,” “It’s Now or Never,” “Are You Lonesome Tonight,” “In the Ghetto,” and “Suspicious Minds.” But no alternate takes have been found for other Presley standards, such as “Don’t Be Cruel,” “Hound Dog,” “All Shook Up,” “Teddy Bear” and “Return to Sender.” Maybe those tapes were erased and are gone forever, but if wishes really do come true, they’ll be found someday and we’ll hear Elvis again in the studio practicing his recording artistry. Many Elvis documentaries and docudramas have been produced through the years, but none of them have come close to capturing the complex nature of the man and the profound influence he had on American culture. Every time I watch a Ken Burns documentary, I imagine him applying his amazing historical and cinematic skills to a biopic about Elvis Presley’s life and career. 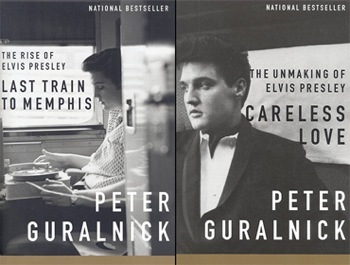 Not restricted by the blinders that keep most Elvis fans from seeing the whole range of Presley’s story, Burns has the historical perspective to bring Elvis’s life and legacy into focus for the masses. Although the odds are against it, of all the holiday wishes on this list, this one has the best chance of actually coming true. "If you’ve got 10 Elvis fan friends on your Christmas gift list, you can take care of them all by buying Graceland’s list for a grand total of $732.89."